The mine began life working ochre at the surface and iron ore, principally magnetite at depth. Some tin was also raised. 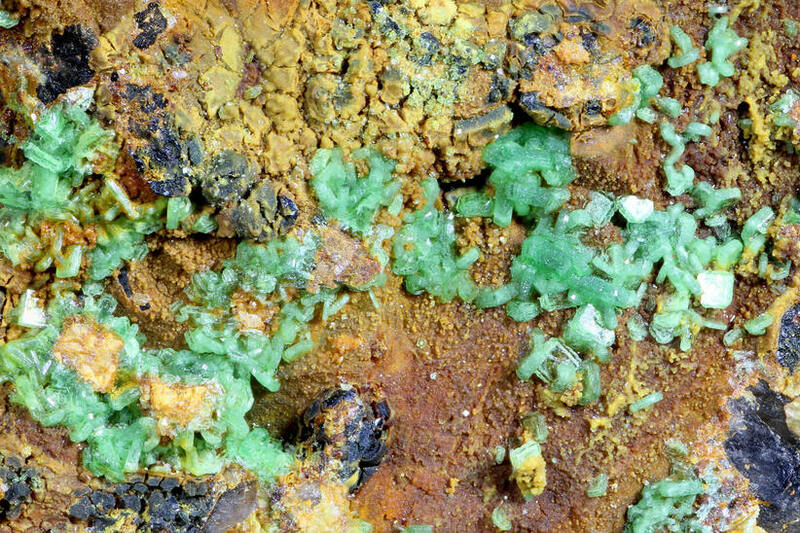 Uranium ores were also discovered close to the surface, principally hydrated minerals such as Torbernite, known locally as 'Green Jim'. 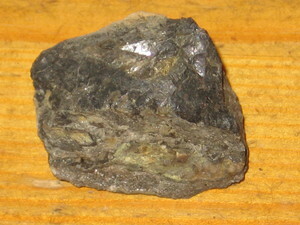 Pitchblende was discovered at greater depth and in later years became the mainstay of the mine until closure in 1930. Whilst uranium ores had been found in other Cornish mines occurrence was sporadic. South Terras was unique in Cornwall in that a lode of some 250 fathoms length (457.2m) was found with uranium derivatives being the principal ores (taken from the Journal of the Royal Institution of Cornwall Vol. 1, 1993). The whole site is extremely radioactive, why the house remains occupied is a mystery. 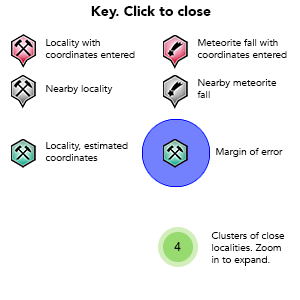 If the normal background radiation is 10 to 12 counts/second, across the South Terras site and even out in the road the counts wander from 50 to 200 counts/second. However, in places counts rise to 500/s and at the head of the new adit shaft contaminated water is evidently seeping out as counts across wide parts of the sunken floor exceed 2000/second. 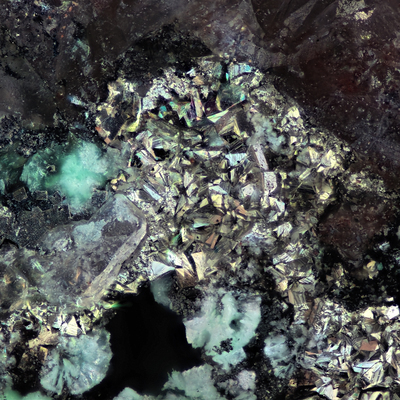 Note on the mineral list: Xanthiosite, aerugite, and bismutoferrite have been removed from the list due to the high probability of fraudulent recording of discovery by A.W.G. Kingsbury. There are several probable uranium species awaiting analytical confirmation from material collected on a Russell Society visit made in 2018. Initial quantative analysis indicate a combination of elements which do not completely conform to the species listed. 57 valid minerals. 3 erroneous literature entries. Description: Now considered as one of several occurrences that were falsified by Kingsbury. Reference: LeBoutillier, N. G., Shail, R. K., & Jewson, C. (2003). 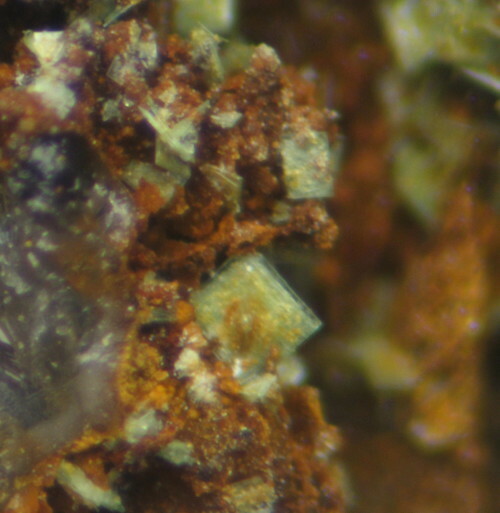 Monazite in polymetallic chlorite-(tourmaline)-quartz-(fluorite)-cassiterite-sulphide lodes and its potential for constraining the chronology of magmatic hydrothermal mineralisation in Cornwall. Reference: Dines, H.G. (1956): The metalliferous mining region of south-west England. HMSO Publications (London), Vol. 2, pp. 541-543; LeBoutillier, N. G., Shail, R. K., & Jewson, C. (2003). 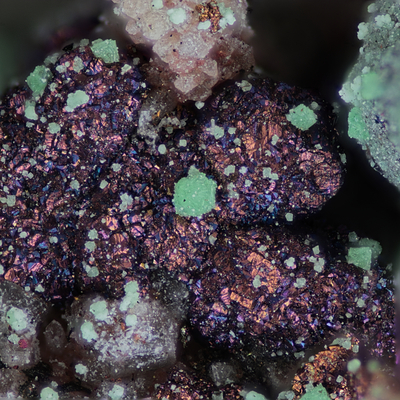 Monazite in polymetallic chlorite-(tourmaline)-quartz-(fluorite)-cassiterite-sulphide lodes and its potential for constraining the chronology of magmatic hydrothermal mineralisation in Cornwall. Reference: Dines, H.G. (1956): The metalliferous mining region of south-west England. HMSO Publications (London), Vol. 2, pp. 541-543; Golley, P. & Williams, R. (1995): Cornish Mineral Reference Manual. Endsleigh Publications (Truro), 104 pp. Description: Golley, P. & Williams, R. (1995): Cornish Mineral Reference Manual. Endsleigh Publications (Truro), 104 pp. Without analytical validation. Description: Subhedral grains with Wittichenite. 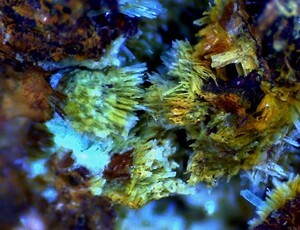 Description: "Greenish yellow massive in quartz and bismuth." Now considered as one of several occurrences that were falsified by Kingsbury. Reference: Kingsbury, A.W.G. (1963): Mineralogical Magazine 33, xc. Embrey, P.G. (1978) Fourth supplementary list of British minerals. Mineralogical Magazine, vol. 42, n° 322, 169-177 (referring to Kingsbury). Description: This material was found while checking for fluorescent species. Earthy, yellowish-brown/ochre-coloured encrustations associated with other secondary uranium species. Very weak tawn fluorescence under LW UV. 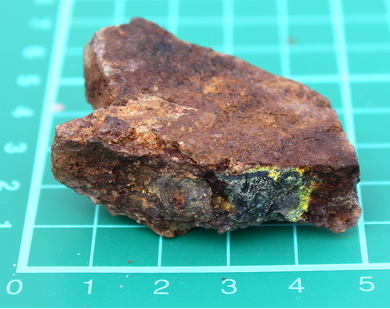 Description: Data are insufficient to identify the material as carnotite. Reference: Gramaccioli (1955): Natura 46, 30-32; Golley, P. & Williams, R. (1995): Cornish Mineral Reference Manual. Endsleigh Publications (Truro), 104 pp. 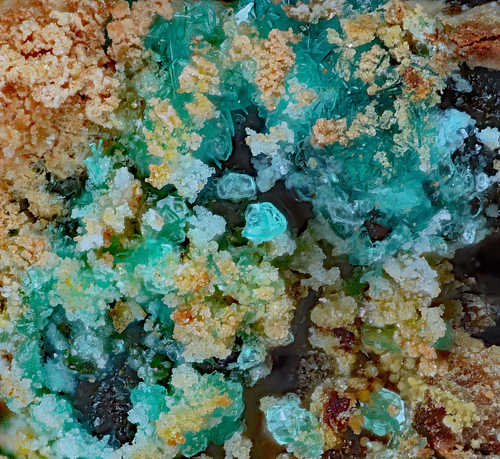 Description: Micro-crystal aggregates <1mm of pseudohexagonal thin pale blue-green platy crystals. Reference: Dines, H.G. (1956): The metalliferous mining region of south-west England. HMSO Publications (London), Vol. 2, pp. 541-543; Mineralogical Magazine 1965 34 : 159-176.; LeBoutillier, N. G., Shail, R. K., & Jewson, C. (2003). 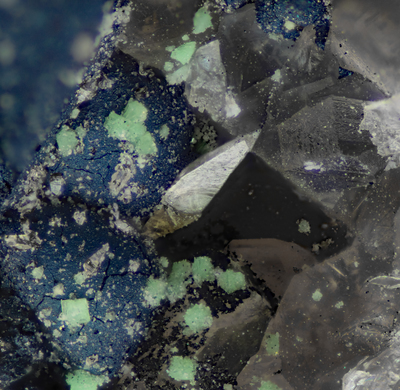 Monazite in polymetallic chlorite-(tourmaline)-quartz-(fluorite)-cassiterite-sulphide lodes and its potential for constraining the chronology of magmatic hydrothermal mineralisation in Cornwall. Colour: Brass yellow on fresh surfaces, otherwise bluish black. Description: Small botryoidal masses partially filling voids in granular quartz veinstone. Some almost completely spherical masses are present in some voids. The surface of the mass is tarnished a deepest blue while fresh faces show the usual brass colour of the chalcopyrite. Reference: Mineralogical Magazine 1965 34, 159-176 (1965); Golley, P. & Williams, R. (1995): Cornish Mineral Reference Manual. Endsleigh Publications (Truro), 104 pp. 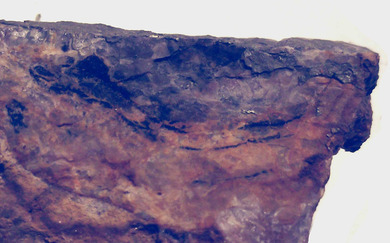 Description: Reputed to have been found as very thin pink crusts on metallic minerals. 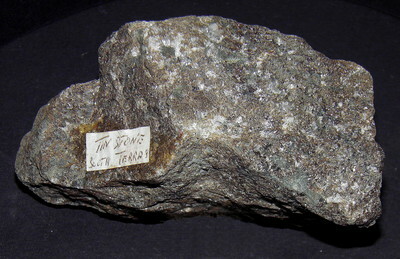 Description: Fourth Supplementary List of British Minerals Peter G. Embrey ** Francevillite Orthorhombic Ba(UO2)2(VO4)2.5H20 Yellow earthy crust on pitchblende nodule, at South Terras mine, St. Stephen-in-Brannell, Cornwall. BM(NH)specimen, from V. P. Aspland (1936). Reference: Embrey, P.G. (1978) Fourth supplementary list of British minerals. Mineralogical Magazine, vol. 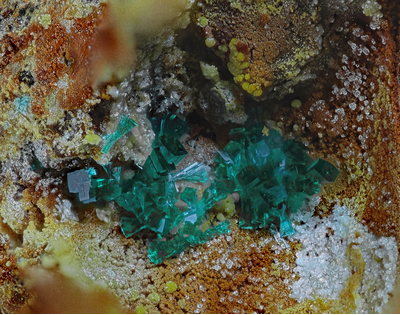 42, n° 322, 169-177.; Golley, P. & Williams, R. (1995): Cornish Mineral Reference Manual. Endsleigh Publications (Truro), 104 pp. Reference: Dines, H.G. (1956): The metalliferous mining region of south-west England. HMSO Publications (London), Vol. 2, pp. 541-543; Rocks & Min. : 23:690; Mineralogical Magazine 1965 34 : 159-176.; LeBoutillier, N. G., Shail, R. K., & Jewson, C. (2003). 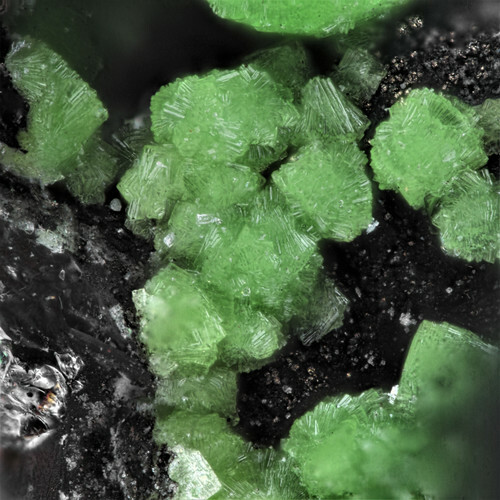 Monazite in polymetallic chlorite-(tourmaline)-quartz-(fluorite)-cassiterite-sulphide lodes and its potential for constraining the chronology of magmatic hydrothermal mineralisation in Cornwall. Description: Observed initially as a white surface layer of less than 0.5mm covering a brown agate coating. When wetted, this layer becomes transparent and gradually returns to an opaque white as it dries out. Reference: SUPERGENE U-Pb-Cu MINERALISATION AT LOE WARREN, ST JUST, CORNWALL, ENGLAND Nicholas J. ELTON Tregears. Little Treviscoe. St Austell. Cornwall PL26 7QL Jeremy J. HOOPER 48 St Julitta. 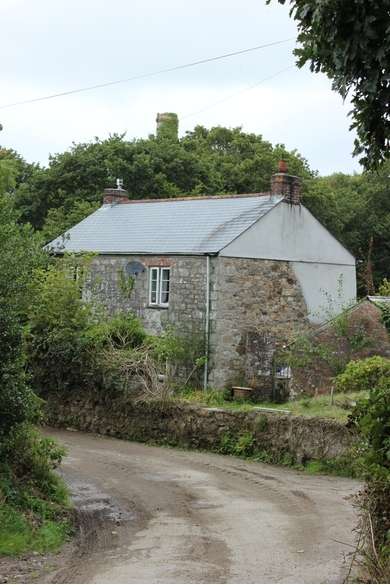 Luxulyan. Bodrrtin. Cornwall PL30 5ED Journal of the Russell Society. 6(1). 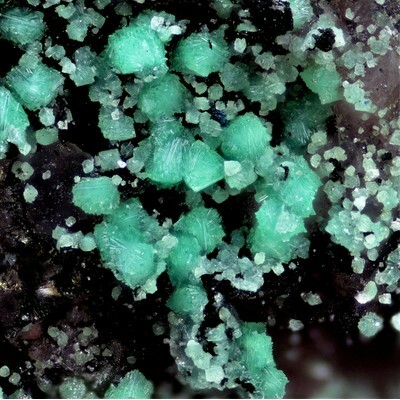 17-26 (l995j Kasolite has also been identified at South Terras mine, St Stephen, Cornwall (R.S.W. Braithwaite specimen, NHM X-ray film 12846), associated with torbernite/metatorbernite and a phosphuranylite group mineral (Braithwaite, personal communication). Reference: Dines, H.G. (1956): The metalliferous mining region of south-west England. HMSO Publications (London), Vol. 2, pp. 541-543; Mineralogical Magazine 1965 34 : 159-176. Reference: Dines, H.G. (1956) The metalliferous mining region of south-west England. HMSO Publications (London), Vol. 2, pp. 541-543.; Darnley, A.G., English, T.H., Sprake, Mrs. O., Preece, E.R. and Avery, D. (1965) Ages of Uraninite and Coffinite from South-West England. Mineralogical Magazine, vol. 34, n° 268, pp. 159-176.; Davis, R.J., Hey, M.H., and Kingsbury, A.W.G. 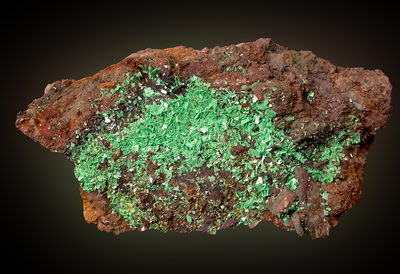 (1965) Xanthiosite and aerugite. Mineralogical Magazine, vol. 35, n° 269, pp. 72-83.; Embrey, P.G. (1978) Fourth supplementary list of British Minerals. Mineralogical Magazine, vol. 42, n° 322, pp. 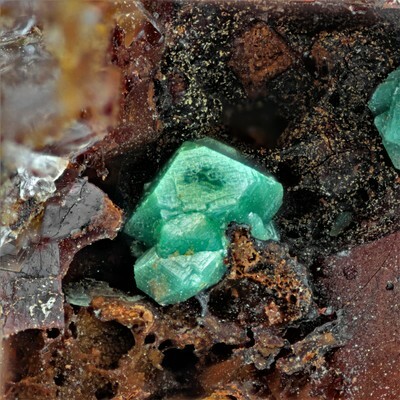 169-177.; LeBoutillier, N.G., Shail, R.K., & Jewson, C. (2003) Monazite in polymetallic chlorite-(tourmaline)-quartz-(fluorite)-cassiterite-sulphide lodes and its potential for constraining the chronology of magmatic hydrothermal mineralisation in Cornwall. Fluorescence: No reaction with LW UV. Description: Seen as a white to brown, botryoidal coating on the surfaces of porous quartz. This coating does not appear to ever exceed 1mm thickness. Description: As translucent-opaque grey botryoidal micro-crust on arsenic-rich primary minerals. Reference: Mineralogical Magazine 1965 34 : 159-176.; LeBoutillier, N. G., Shail, R. K., & Jewson, C. (2003). 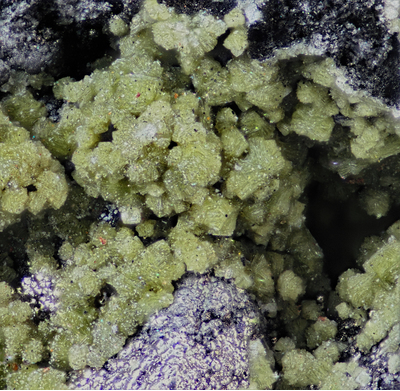 Monazite in polymetallic chlorite-(tourmaline)-quartz-(fluorite)-cassiterite-sulphide lodes and its potential for constraining the chronology of magmatic hydrothermal mineralisation in Cornwall. Description: Subhedral grains with Bismuthinite. Dines, H.G. (1956) The metalliferous mining region of south-west England. HMSO Publications (London), Vol. 2, 541-543. Embrey, P.G. (1978) Fourth supplementary list of British Minerals. Mineralogical Magazine, 42(322), 169-177. Rocks & Minerals, 23, 690.